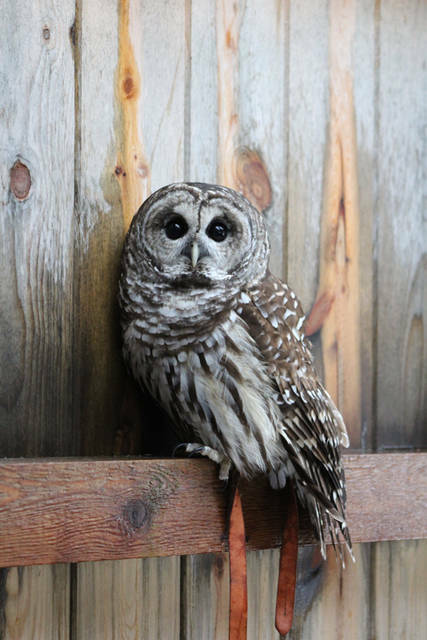 During the Darke County Parks’ Raptors of Ohio program, guests will be introduced to birds of prey including Umber. DARKE COUNTY – Darke County Parks will host a Raptors of Ohio program at 6:30 p.m. April 18 at Shawnee Prairie Preserve Nature Center. Visitors will be introduced to Greta, Pip, Umber, Sky and Spirit. The event will focus on the natural history of birds of prey and share how each of these birds came in to the care of Darke County Parks. Currently, the parks are home to a great horned owl, eastern screech owl, red-tailed hawks and a barred owl. Registration is required. The fee is $5 and will aide in the health and care of these animal ambassadors. Individuals can visit http://www.darkecountyparks.org/ to create an account and register.